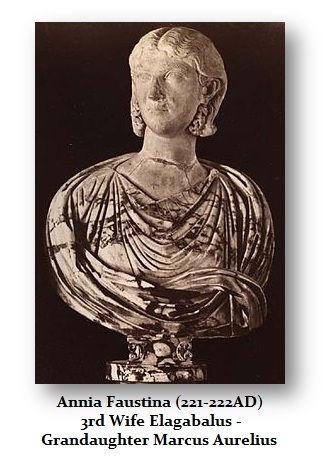 Annia Aurelia Faustina was the third wife of the Emperor Elagabalus. 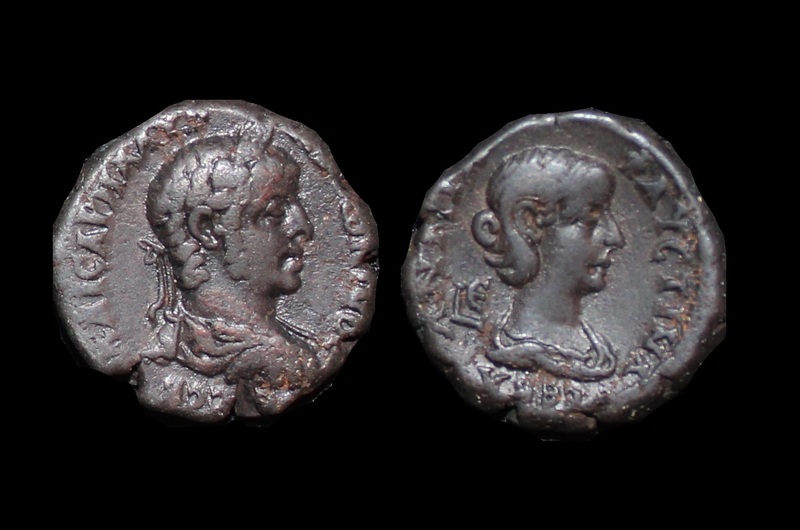 Annia was a decendent of the former Emperor Marcus Aurelius and a widow of a man Elagabalus had put to death. They were married in 221 AD. Elagabalus had hoped that Annia bare him children. However, when that failed, Elagabalus divorced her and returned to Julia Aquilia Severa, remarrying her as his fourth wife. After her marriage to Elagabalus ended, Annia Faustina returned with her children to the Pisidian Estate. She spent the final years of her life there.